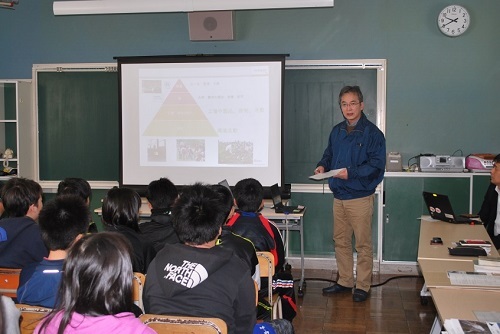 On March 13th, HCM held its fourth HCM Environmental Protection Classroom at Urahoro Elementary School in the Tokachi District of Hokkaido where the Urahoro Test Site is located. This outreach class, part of the science class called “living creatures and the environment,” aims to teach students about the value of their community’s natural environment and issues it faces. A total of 28 sixth graders took part. HCM, the Tokachi Branch of the Wild Bird Society of Japan and Urahoro Town Museum each lead a class about the Earth’s environment, ecosystem conservation, and wildfowl and flora native to Urahoro, respectively. 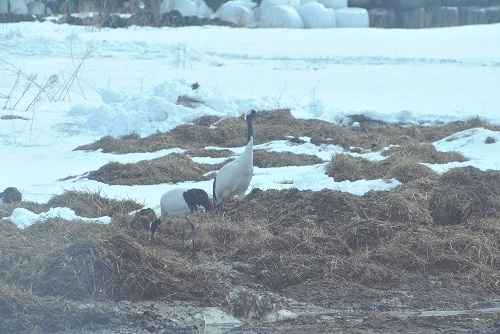 The class included an outdoor bird watching session, where participants were able to see rare wild fowl such as white-tailed eagles, red-crowned cranes and eastern buzzards up close. This event served as an excellent opportunity for students to learn about the appeal of their community’s natural surroundings and get them thinking about their relationship with the environment. Going forward, we remain committed to conveying the importance of protecting the natural environment.